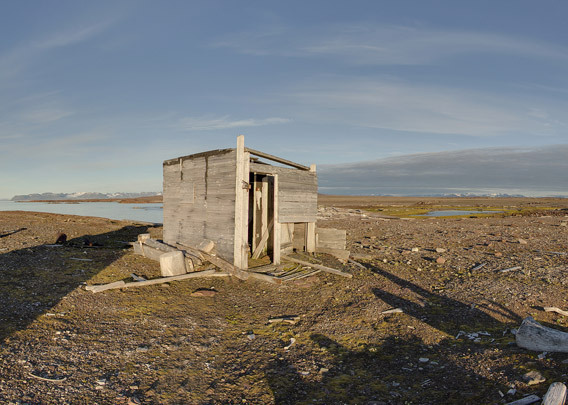 Velkomstpynten is on the north coast of Spitsbergen, on the northeastern corner of Reinsdyrflya, in the entrance of Woodfjord. 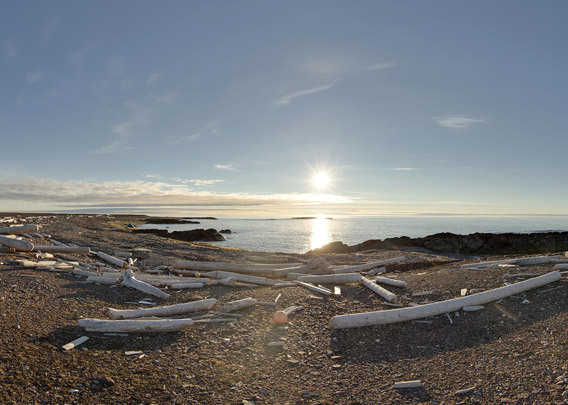 It is part of a rocky coast, separating the lowland of Reinsdyrflya from the arctic ocean, composed of beautiful Devonian Old Red sandstone and covered with large amounts of driftwood. A rare evening with such brilliant weather, calm sea, absolutely no wind, warm midnight sun light in such a place, just under 80 degrees north, is one of the most beautiful things I can imagine! 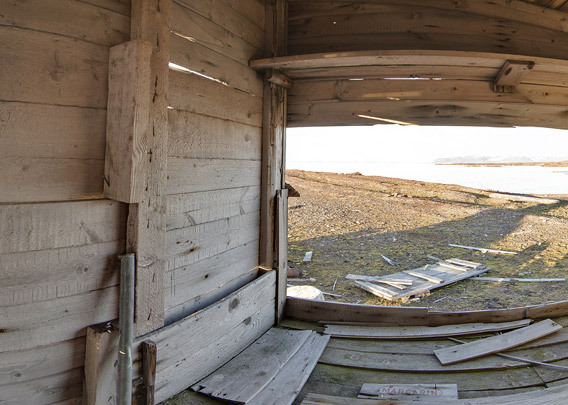 The hut at Velkomstpynten was probably built in 1930 or 1932 by Sven Olsson (“Stockholm-Sven”). It is a ruin now. 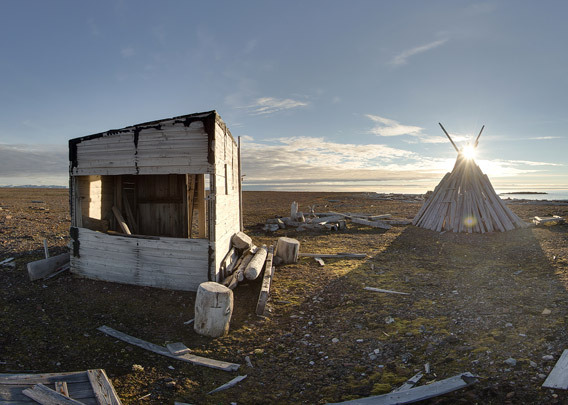 The hut was mentioned by Christiane Ritter in her famous book “A woman in the polar night”. She wintered together with her husband Hermann Ritter at Gråhuken, on the other side of Woodfjord, in 1934-35, and in spring, she convinced her husband to make a trip over the fjord ice to visit their nearest neighbour, Stockholm-Sven. He was not at home, but he had prepared everything for visitors: the hut was clean, the oven ready to lit a fire, coffee and bread were ready.